Squirrels are forest dwellers. They primarily eat nuts and seeds, but will also eat berries, fungus and insects. 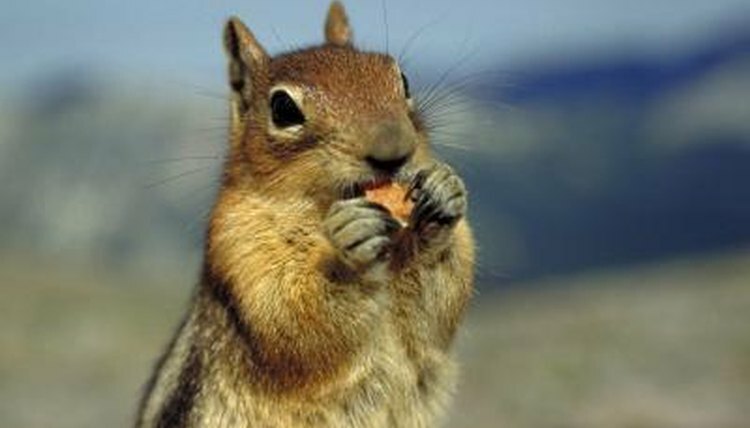 Squirrels horde food in small amounts in several locations when it's abundant. Some caches of seeds are never recovered and instead become seedlings. Squirrels have many predators, but their main threats are habitat loss and human competition. The western grey squirrel was considered a threatened species due to disease and road-kill, though its population has recovered. Habitats suffer from urbanization and wild fires, and the intrusion of foreign plants such as scotch broom prevents the regrowth of squirrels' natural habitats.